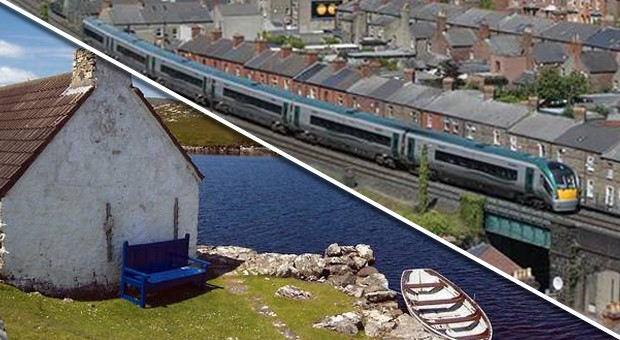 Mortgage costs, daily commute and the price of a pint... Are you any better off living in rural Ireland? A sports battle between Mayo and Dublin plays out at the All Ireland this weekend, with county natives from either side espousing the talents of their respective players. But as anticipation levels rise ahead of Sunday's clash at Croke Park, we look at which area is the real winner in financial terms. At a Housing Summit last week, the government announced that they will offer homeless families from Dublin the chance of a house in rural counties, in a radical bid to ease the current crisis. Rural grants are also being rolled out to those who are buying homes in designated rural towns - as long as the money is used to renovate or refurbish the property - to encourage more people to live in rural towns and villages. Recent figures from the Central Statistics Office (CSO) show that the average house price in Dublin stands at €410,890 - compared with a much more accessible price of €125,771 in Mayo. But apart from the prevalent housing crisis, is the individual, family, or small business any better off financially and in terms of standard of living? The number of people currently living in the capital is 1.35 million, eclipsing those in the west coast county, which boasts a population of just over 130,500. According to the CSO, a total of 2,636 new cars were sold last year in Mayo, compared with 50,037 private licensed vehicles purchased in Dublin. From the insurance costs on these cars and utility expenses to broadband strength and overall work/life balance, we spoke with people who have first hand knowledge of both areas to understand the divide. Co-founder and senior business consultant of CloudStrong David Waldron is based in Castlebar. He believes the town is "a great place to live" - and work - his company has evolved from a solely cloud based firm to a full ICT provider and IT managed services provider over the last six years. Accountant Eilis Quinlan lives in Ballymore Eustace in Co Kildare but her offices are based in Naas, "still in the commuter belt". 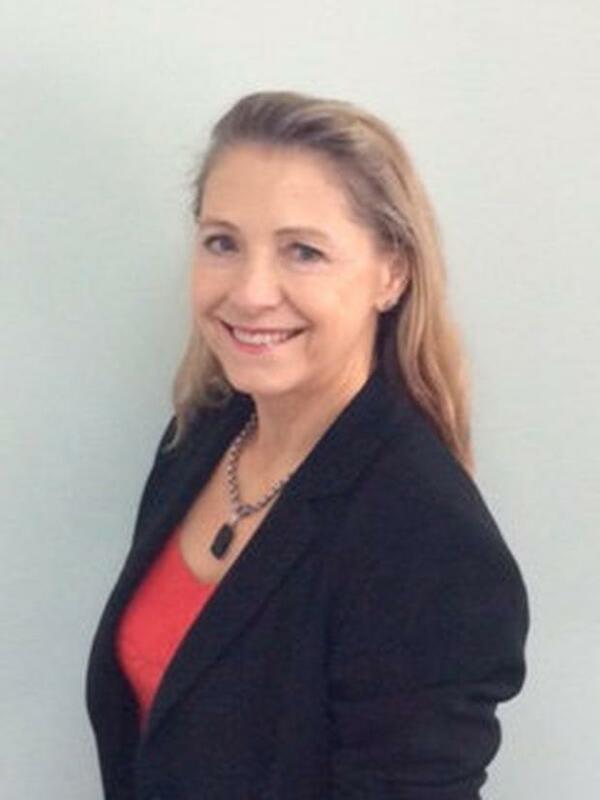 Eilis worked in practice until starting her own firm in 1992, and now sits on the National Council of ISME where she was appointed Chairman in May 2009. "Typically, engineers in the West can be employed for salaries ranging from €25-40k per annum, depending on their experience and qualifications. Due to this, it is very attractive for both employer and employee. Without the high standard of living costs in comparison to Dublin, it’s a win-win situation. Sourcing staff, however, can be a challenge, so retaining staff is key," said David. "The challenge of sourcing staff is an industry wide thing...There is still a shortage in the service industry within IT. The reason behind this is that, in the last couple of years, students are not really focused on hardware, software as a service has become a priority." "There is definitely an urban/rural divide here. The salaries are lower outside of the city limits, and I have been lucky enough to be able to recruit a few staff members who were willing to take a lower salary just to avoid the daily commute (up to two hours each way)," said Eilis. "I expect the general higher cost of rents in the cities would necessitate a higher salary, although you do have the commuter costs of living in rural Ireland. Not just car costs, but even to buy a newspaper or a pint of milk in the morning usually involved taking out a car. "For most of us a car is a necessity, and not a luxury, whereas it can just be a nuisance in a city where parking is at a premium." "This is a bone of contention. My car insurance premium has risen to €830 for the year. This is probably a countrywide phenomenon," said David. "Location probably has an impact on the amount of insurance you would pay - and for anyone who uses their car a lot of work. Our engineers are predominantly working at the base here in Castlebar. Our work is with infrastructure in the cloud so 80-90pc of the time, the staff are in the office." "These costs seem to be marginally lower in the country although the recent increases have made insurance so exorbitant that a few euros off a multi thousand euro invoice doesn’t make much difference," said Eilis. "Typical rent for a room in Castlebar is €80/€90 per week. I understand this is probably vastly lower from Dublin prices, however, rooms five years ago were typically €60-€70 per week," said David. "Rents are definitely lower outside of the cities, and especially outside of Dublin, but mortgage costs are the same," said Eilis. "The difference with mortgages are that you can buy something with a reasonable mortgage outside of a city, whereas it’s next to impossible in the major cities. The downside of that, of course, is the extra transport costs outside of built up areas." "Broadband speeds in Castlebar are- quite good, and you can typically get 30MB down and 4MB UP. However, Vodafone’s Gigabit broadband has arrived in Castlebar and Westport which will give speeds of up to 1Gb (1,000MBPS). Vodafone Gigabit broadband is powered by SIRO, a joint venture between ESB and Vodafone. Broadband costs average €45 per month," said David. "In Castlebar, broadband isn't a problem and naturally, for our service, that's the life blood of our business. However, there's any amount of areas that don't have that luxury just a few miles outside of town." "This is at crisis point outside of the major cities, but everybody knows this by now. The Government want to get people out of the cities and into affordable accommodation, but you cannot run a business without suitable broadband. You cannot work from home without it. You cannot do a variety of things that are taken for granted in a city, such as online grocery shopping (for the elderly and to avoid transport costs) online doctor’s appointment," said Eilis. "It needs to be fixed urgently, especially for start-up SMEs who will fail without it." "My job role involves a lot of travelling. However, for employees in our head office in Castlebar, commute time is generally around five to ten minutes as they all live in the Castlebar region," said David. "So work/life balance is good in that regard. There is traffic in Castlebar in the mornings, but nothing in comparison to Dublin. If our staff take over 15 minutes, there'd be complaints!" "I think this depends on your age and the stage of your career. Young, single and upwardly hungry are often dying to get to a big city, with no commuting or access issues, decent nightlife and public transport, and arts and media at your fingertips. However, later in your career I think there is definitely a better work life balance if you can live and work in the country. Of course the real problem, is that people can’t," said Eilis. "You need to live in the country as a mortgage or rent is cheaper, but the commute is a complete killer of any work/life balance. Unless you have a particularly flexible employer, and not all jobs are suitable to this, you will spend up to two hours twice a day driving at a snails’ pace and stressed to the hilt. "There’s no time to see the kids before you leave in the morning, or else you are getting them up at 5.30am to drop to a crèche on your way to work. You don’t see them until you collect them some time after 6pm if you are lucky. If you are not so lucky you could reach home by 8pm in time to kiss goodnight before they go to bed. "If you don't have kids it is somewhat easier, but you still have the commute which uses up time otherwise free for the gym, sports, concerts etc." "Castlebar is a good commercial town, and hosts a variety of the bigger retail outlets. Utility expenses such as electricity and broadband are average also. Broadband is around €40-€50 a month depending on the provider," said David. "These seem similar everywhere if you use any of the big supermarket chains, and speciality stuff like certain spices of deli options are not always available in the country due to low demand," said Eilis. "However, the local village shops in rural Ireland are often marvellous. While the range may not be very broad, with a lower population to cater for, the quality and prices can be much better and more reasonable for a similar ‘organic’ product in the city." "In Castlebar there are great amenities in the surrounding area, including leisure facilities, retail parks and shopping centres, eateries, and lots of clubs and societies," said David. "Also, Castlebar is a lively and busy town, and not only serves local people, but a large number of visitors and tourists aswell. There are a lot of local attractions, including Westport, Achill Island and Ballina, all within a short driving distance." "Of course there are lots of museums, art galleries, theatres and gyms in the cities, and the larger towns are coming on, but I think there is a larger range of ‘free’ leisure activities in the country," said Eilis. "It can be hard to organise a number of consecutive days of leisure activities with children in a city without spending a fortune." "Guinness varies from €4 to €4.50 so no complaints there!," said David. "Definitely cheaper in the country, but only a few cents," said Eilis. "You also have to factor in getting out to a pub. In the country you cannot walk, and there isn’t usually public transport available, so you either take a taxi or drive and don’t drink. If you add the price of transport onto a pint, the country rides right up there with city prices."